You wouldn't purchase a car without test-driving it, and you wouldn't buy a house without seeing it first. Lessons are no different. All students are unique. The trial lesson provides an opportunity for our teachers to know more about the student's strengths and weaknesses. Parents could also use this chance to understand how our teachers teach and see if we are a good fit for your child. 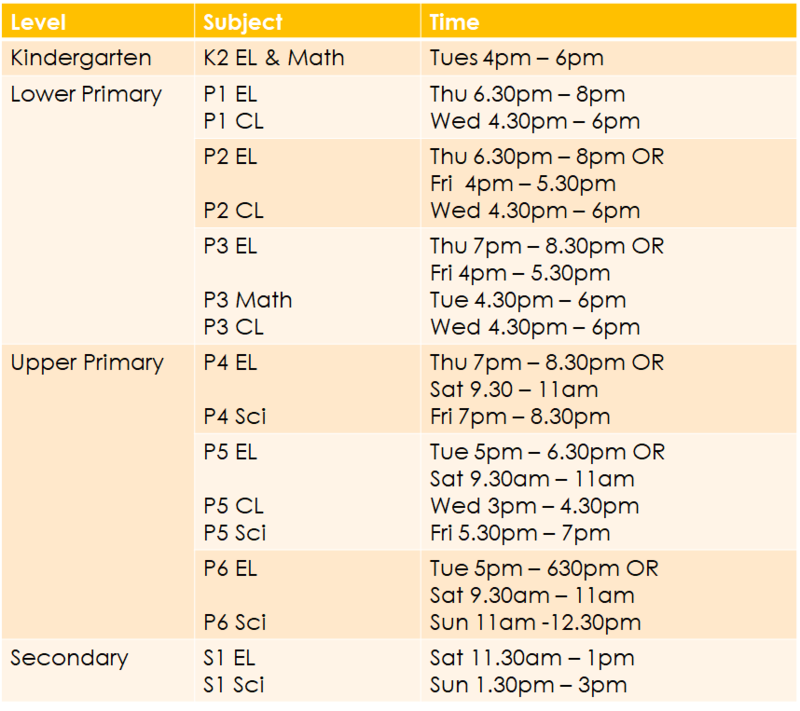 Situational writing for P5 and PSLE students with regards to format, tone and purpose of the question. Students are taught the unitary and model drawing methods to solve for problem sums as they are widely accepted by schools. If your preferred class timing or subject is not shown here, feel free to leave us a message. We will check with our tutors. Strictly by registration only as we limit our class size. Limit of 1 subject of trial class per student. For first-time customers aged 5 and above. Each lesson is 1.5 hours long. If the student misses his lesson, replacement class is subject to availability.